For any questions regarding our website, or services, please contact us. We will get back to you as soon as possible. A full time guide 7 Days a Week. We would love to be your guide on your next trip. Just give us a call so you can start catching fish like a tournament champion! A proven tournament winner with 42 wins, former Maryland State Record Holder of the Blue Catfish, and also a Maryland State Record blue cat caught August 13, 2012 while on a guided trip. Capt. 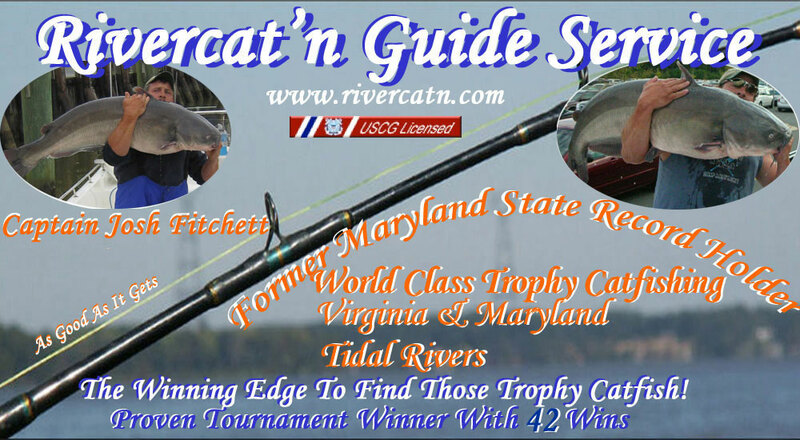 Josh will use that winning edge strategy to help you catch a trophy cat in the world class rivers of Virginia and Maryland. It's not unusal for Captain Josh to land numerous citation blue cats on a trip and many times better than 50 pounds, in fact a citation is guaranteed or your next trip is free.